UPDATED: Mon., Feb. 11, 2019, 8:25 p.m.
SACRAMENTO, Calif. – California Gov. Gavin Newsom said Monday he’s withdrawing most of the state’s National Guard troops on the Mexico border because he won’t participate in the Trump administration’s “absurd theatrics” on border security. 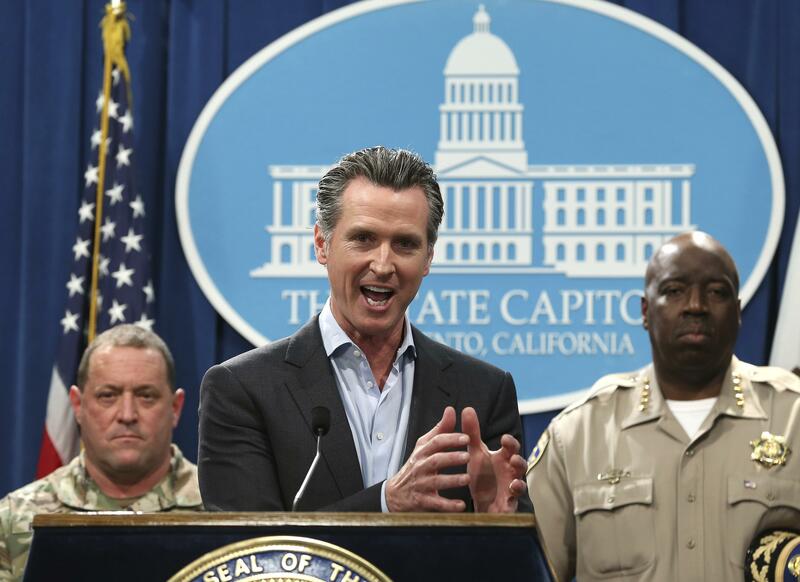 “This whole thing is the theater of the absurd and California has had enough,” Newsom said. Published: Feb. 11, 2019, 6:07 p.m. Updated: Feb. 11, 2019, 8:25 p.m.